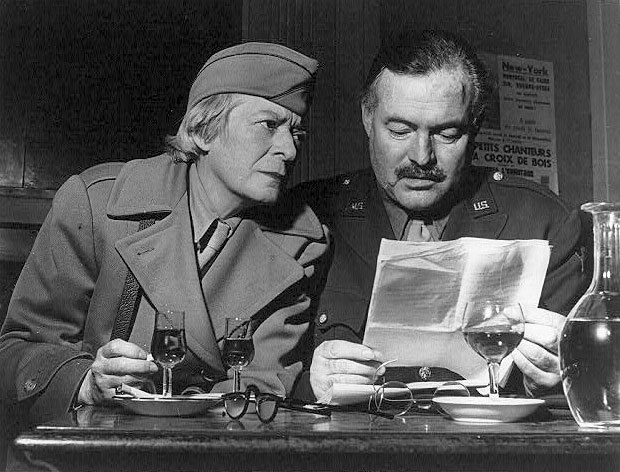 CREDIT: Janet Flanner and Ernest Hemingway, both in uniform, seated reading papers at a table in the Deux Magots cafe in Paris, France, 1940-1945. Prints and Photographs Division, Library of Congress. Reproduction Number LC-USZ62-62584.